You've got followers… cyberbullying goes offline. 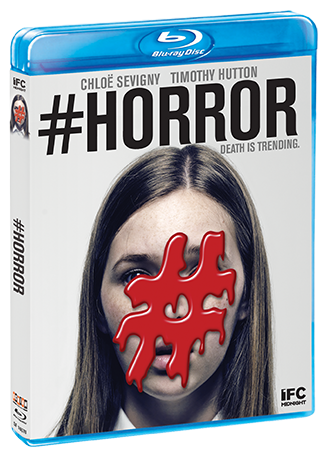 #Horror follows a group of preteen girls living in a suburban world of money and privilege. But when their obsession with a disturbing online game goes too far, virtual terror becomes all too real. Chloë Sevigny (American Horror Story, American Psycho) leads an ensemble cast that includes Timothy Hutton (American Crime, The Dark Half) and Orange Is The New Black's Natasha Lyonne and Taryn Manning. This chiller, inspired by a shocking true story, is written and directed by actress/designer Tara Subkoff (The Cell, The Last Days Of Disco).